Michael Olivier is a well-known Cape food and wine fundi who trained at The Cordon Bleu Cookery School London. Michael has worked in and managed well-known places such as Lanzerac Hotel in Stellenbosch and was Public Relations Manager for the top marque wine estate Boschendal. Having run three restaurants, Paddagang in Tulbagh, The Burgundy in Hermanus and Parks in Constantia, and being featured in the national top ten restaurants, he is now a food and wine writer and hospitality industry consultant and Food Specialist. Michael’s experience includes consulting to South Africa’s largest Supermarket Group - Pick n Pay - on Wine Retailing and setting up training programmes for the wine sales people on the supermarket floor. Michael, a former Fair Lady Wine Writer, is well known for his daily wine programme on Cape Town’s Fine Music Radio – Michael Olivier Talking Wine – is broadcast to a daily audience of 90,000. 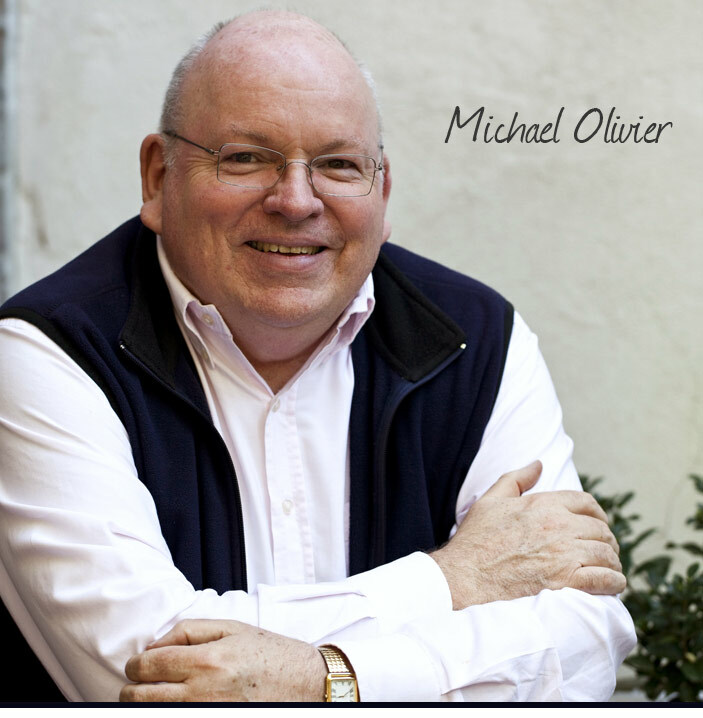 His first book Michael Olivier – a Restaurateur Remembers, was published in 2005 and was followed by crush! 2008 100 South African Wines to drink now, which was succeeded by a 2009 edition. His latest book The People’s Guide – navigate the winelands in a shopping trolley was published in November 2009 and was co-authored by Neil Pendock and Anibal Coutinho. A Portuguese version Guia Popular de Vinhos 2011 by Coutinho and co-authored by Olivier and Pendock, appeared in September last year. Michael also publishes Crush! – a free online digital magazine which can be viewed on www.crushmagonline.com. Michael has been married to Madeleine for over 34 years and they have three children. Michael’s website is www.michaelolivier.co.za which he would love you to visit.